Worry about germs? Don't want to get sick driving people around? Feel that handshakes, fist-bumps and high fives spread germs? According to ABC7 (Bay Area) news coverage on this fist-bumping topic, Infectious Disease and Control researchers claim that fist-bumping will decrease the spread of germs. This is really good news for Lyft! Any Lyft passengers who drive in ridesharing vehicles via Lyft can expect fist-bumps during the initial greeting and another fist-bump upon departure at the drop-off destination. Fist-bumping now has a reason to continue, because greeting passengers, staff and strangers with fist-bumps can improve your physical health and well-being. Most people know that handshakes and high fives transfer germs. This is the primary reason we must wash our hands. It is nothing new that proper hand washing methods will decrease the spread of germs. In a video excerpt on the news channel, staff members in restaurants were fist-bumping each other. They looked uncomfortable performing these fist-bumps before engaging in their duties. Of course, fist-bumping is known to break the ice, but what if some passengers want to remain cold? Fist-bumping may irritate quite a few passengers, even influencing them to stop using Lyft. Lyft seems to operate like a restaurant. If customers threaten to leave, they know there are plenty of future users to replace them. They don't seem to cry over spilled milk. They deactivate good drivers, and then replace them with rookie drivers. This is an awesome strategy to create turnover through maintaining a flawed star rating system. It is refreshing for passengers to expect fist-bumping at least twice in every trip. Those awkward fist-bumps are now considered a research-approved method to reduce germs. Fist-bump away! Wow! Great research news that accommodates ridesharing service Lyft. Lyft drivers can expect to fist-bump every passenger who enters their vehicle. If passengers exceed the maximum capacity, then drivers will be fist-bumping everyone. However, this fist-bumping culture may reduce driver star ratings because they won't start trips right way and this will delay expected arrivals. This is all for a fist-bumping to break the ice, thus creating fiery attitudes when trips take longer. Lets fist-bump first to break the ice and stay hip. Passengers ask why is that Pink Mustache blowing in the wind? Oh, this happens when the speed exceeds 40 MPH. Do you have to do those fist-bumps? Yes, I'm sorry. The fist-bumps are part of Lyft's motto. 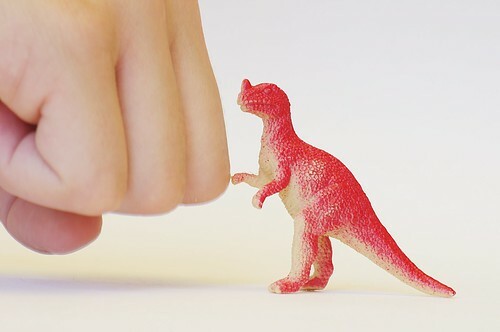 If you want, you can send a message to support that you want this fist-bumping to stop. American President Obama makes fist-bumping look cool. Motivational speakers tell their audience to fist-bump their neighbor to increase the energy. Sporting figures fist-bump after throwing a touchdown, hitting a homerun, scoring a goal and whatever else constitutes a moment-defining celebration in sports. Lyft may have implemented fist-bumping to be unique. Now their fist-bumping is considered a form of germ control. Great thinking Lyft founders to use fist-bumping to break the ice and make Lyft hip which researchers now validate as an infectious/germ control method.